It may be one of the most challenging urban planning and design problems of the 21st century – how to remediate the ill effects of past policies, practices and injustices within our communities. Just about every city and town in America harbors some degree of disinvestment in neighborhoods. And surely, design and policy changes can begin to help. However, there are interventions that may begin with a “what if” mindset and the willingness to accept risk and try something new. 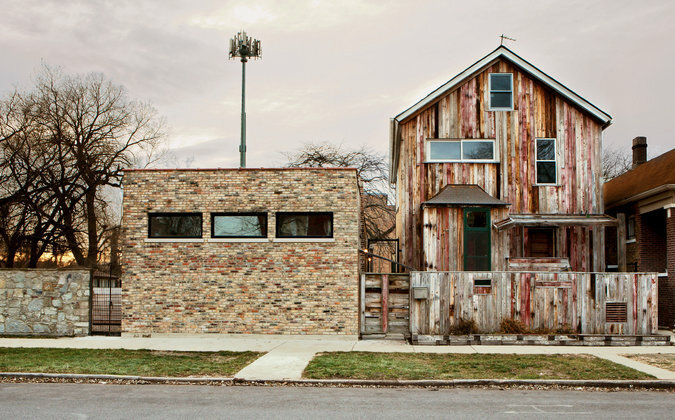 This TED Talk by Theaster Gates, an artist and activist in South Side Chicago, demonstrates what can happen in YOUR city. It is endlessly interesting to see how the thought processes of someone from outside of the accepted “professional” field, can bring a new approach to problem solving that the “experts” seem to have overlooked. I hope you find this as inspiring as I did, and that it perhaps reinforces the value of collaboration across broad backgrounds to solve intrenched urban design problems.